The sandy loam of our main garden plot in the valley of the Chagrin River makes perfect soil for growing vegetables organically. Nothing goes in except seeds, sunshine, compost, pure water and natural soil amendments such as high calcium lime. We seek to protect the life of the soil to produce vegetables that are naturally rich in food value. The result is top quality, nutritious produce that is picked at its peak and rushed to our customers within the shortest possible interval. Our favorites include chard, kale, beets, carrots, onions, garlic, leeks, potatoes, peas, heirloom tomatoes, radishes, basil, cilantro and other herbs. 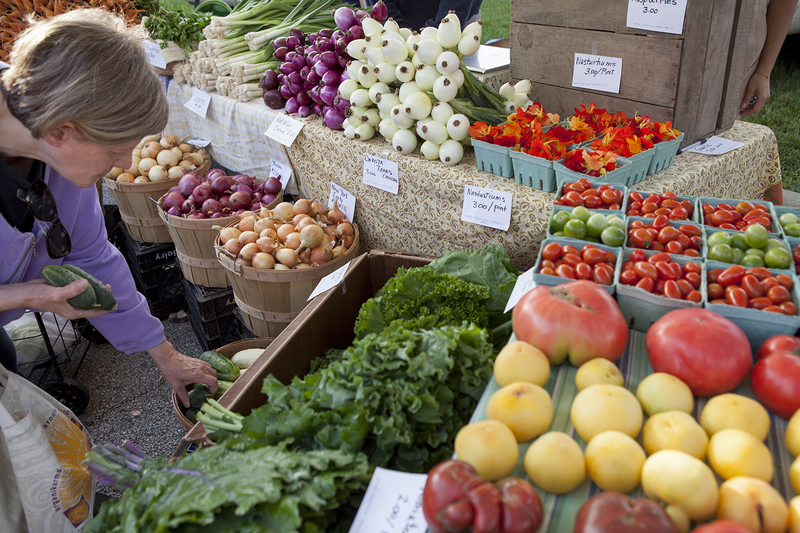 Our vegetables are sold in season primarily at North Union Farmers Markets. Click here for locations and times.